You usually don’t take a hit and miss approach when making website design decisions. While you might like to try new approaches from time to time, even those are normally based on sound theoretical approaches that often take into account up-to-date website design principles and trends. Many, if not most of these trends, are directed toward making websites more engaging to users, and to driving up traffic and conversion rates for clients. Just like you, Be Theme’s professional pre-built website designers keep in tune with the latest design trends. As a Be Theme user, you’ll always have what you need to consistently produce high-performance websites to the delight of both your clients and the end users. There are 200+ modern, customizable pre-built websites to choose from that, like those shown here, take into account current design trends. They are extremely easy to install, and installing and customizing them requires no coding skills. a respect for the principles of visual hierarchy, enabling you to build websites that influence user flow and decisions. a strategic use of special effects. more images and less text, including the use of hero images on home pages and key landing pages. effective use of minimalist design for mobile application. Many if not most of today’s websites are seemingly carbon copies of one another. Themes will differ, but the layouts often look as if they all were based on a common template. Part of the reason for this is the growing number of mobile users, which has tended to place certain constraints on web design. Does that mean there is little room left for innovation on your part? The answer – a resounding no. Past and present design trends create all sorts of design opportunities for you to put into practice, ranging from the use of hero images and minimalist design, to long scroll, flat design, and the use of special effects that help to tell a story. The examples shown here incorporate many the latest trends. In addition, these pre-built websites can be installed with one click and are incredibly easy to customize. There are more than 200 to choose from, with each one seemingly better than the next. Choosing a WordPress theme is not necessarily an easy task if you are looking for the very best. It often comes down to one or two truly outstanding features that differentiate a theme from all of the others. Here are a few things well worth looking for that can get you past having to choose among “adequate” themes, and enable you to drill down to “the best”. Look for a theme with an integrated builder. Plugins are not always compatible, and even when they are, there’s a greater tendency to encounter bugs or experience less than optimal performance. When you come across a theme, like this one, that features a premium integrated front-end builder, you’ve hit the jackpot. Web design should never be a chore, or a cause for boredom. It should be enjoyable and satisfying. Look for a theme offering cool UX feature, such as intuitive dashboards, smart shortcuts, and a gratifying overall experience, and one that guarantees that no coding experience is required. Look for a theme that gives you the freedom to customize to your heart’s content – without limitations. The ability to customize to the tiniest level of detail is cool; limitations are not. UI kits are among designers’ favorite tools to work with, because they enhance their creativity, and clean the palette even for the most difficult projects. What makes UI kits even more loveable is that they help us explore other designers’ ideas, without expecting the client to come up with his, and to complicate things. Finally, UI kits are modern, because they’re always developed to respond to latest fashions and trends. These kits are also complete designing solutions which can serve both the needs of outstanding experts and novice designers – they cover pretty much every design aspect (for the mere black canvas to advanced buttons and themes, and they save in incredible amount of time. 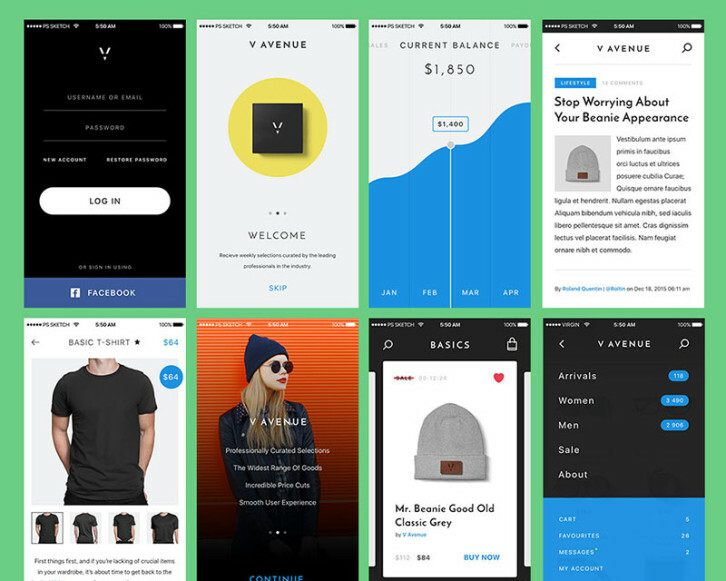 There are many ways in which UI kits can improve the workflow of your design, but their two branches of expertise and mobile/web design and prototyping. Choosing the right coders for your project can be painfully similar to looking for a needle in the haystack. There are thousands of people out there offering their services, but who are the best ones for you and your business? Who among them understands your vision, aligns with your goals, and implements the design in a flawless manner? And if we go beyond the technical requirements, is it possible to find a coding team that’s also reliable, trustworthy, involved, and easy-going? It’s not easy to hire the best people for the job, but you can use this 4-point checklist to make sure you choose the most serious development agency. When you assess the potential of an agency, start by researching their online presence. First thing on the list: their portfolio. Check out their clients, their partnerships, what type of projects they’ve previously worked on, and how they present their case studies. Xfive won a “special kudos” awards for their website, in a CSS Awards competition. Second step is reading testimonials on their website, on forums and on their Facebook page. Recurring, happy clients are a great sign that the agency delivers on their promises. We always try to keep you updated on new free and premium eCommerce themes that can save loads of your time and energy on web development. When choosing the best eCommerce platform for their online stores, many retailers opt for Shopify due to its extensive functionality and a powerful community of web developers and designers who stand behind it, and keep on releasing new Shopify themes, modules and smart add-ons in order to help you build a competitive web resource. 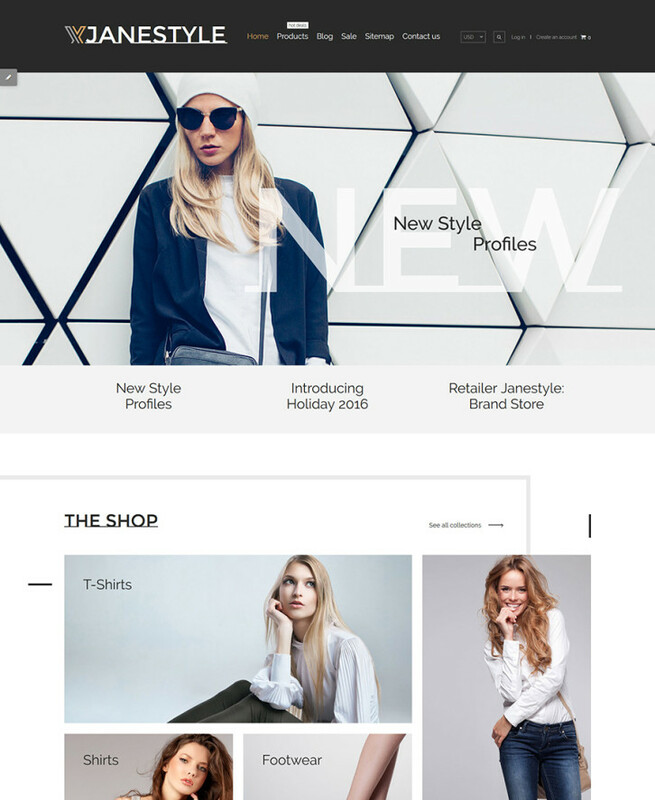 In our new compilation today we will focus your attention on the latest premium Shopify themes and free Shopify themes. 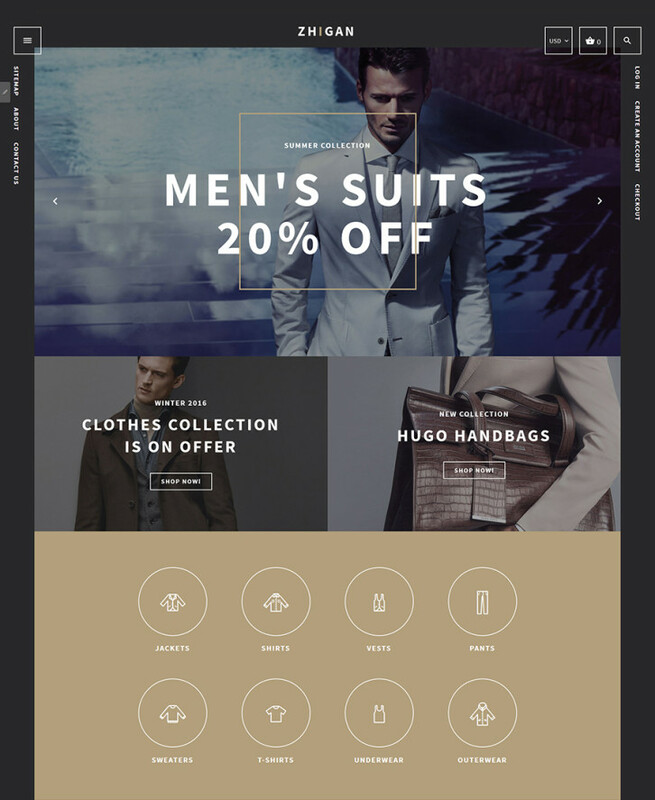 All designed according to the latest web design trends, these will help you create your own online store or a cool eCommerce site for your clients. Let’s start with the premium solutions. 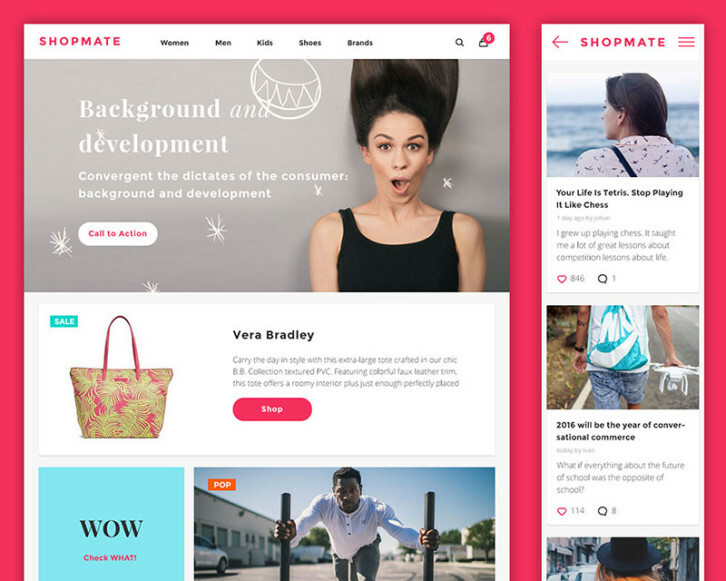 This feature-rich and visually impressive theme is one of the best premium Shopify themes released by TemplateMonster. Boasting an easy-to-follow and well-balanced layout, the theme invites your visitors to start making purchases right from the main page. Parallax scrolling effect, that was integrated into the theme’s header and background images, lets your web audience become immersed in the atmosphere of your business. Thanks to the spacious layout of the theme, you are free to place as many products on one page as you wish. For faster decision making, the store’s offerings have been enhanced with sale/new product badges, quick view functionality, retina ready logo, elevate zoom, and more handy features. 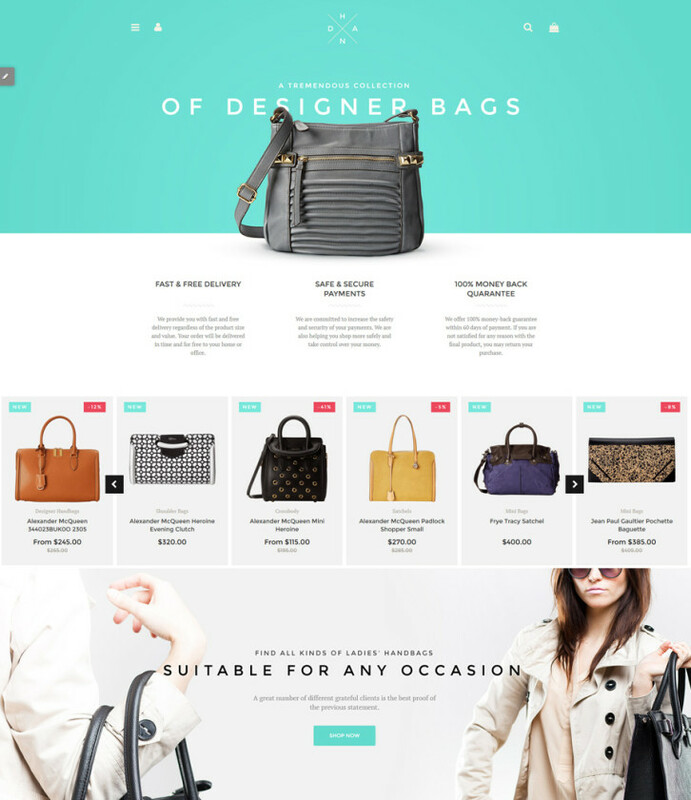 This premium Shopify theme was designed to suit fashion and beauty online stores. Featuring a newsletter pop-up form, a pre-designed contact form, live search and integrated Google maps, the theme was built with the intention of establishing a close contact with your audience. Clean style brings more focus to the store’s offerings. The latter, by the way, have been organized in a grid-based view. Each item is supplied with a functional hover effect, which reveals color variations, each item from a different point of view, etc. on the mouse-over. This fully responsive Shopify theme is integrated with social media and features a sticky MegaMenu in the header. Most web designers work with a variety of website types, and they prefer multipurpose themes for that reason. This is especially true when they need to deliver websites to multiple clients with different needs. Each of the multipurpose WP themes presented here features pre-designed website or layout selections from which you can select and customize whatever needed to build a website of any type or topic. Each multipurpose themes is noted for its user friendliness, flexibility, and core feature performance and reliability. None require using code to design high-quality websites, blogs, or portfolios. These multipurpose themes are also productivity boosters, as they give you the capability to build a website page in mere minutes. How large are my typical websites? Do I require ecommerce functionality? How often will I need to make changes? The Core is a massive theme. It actually consists of a package of 16 themes, with more on the way. This ThemeFuse product is built on the web studio’s open source Unyson WordPress framework. It’s loaded with cool features, including a large selection of hand-built demos that are easy to customize to meet your design requirements. The Advanced Visual Builder is delightfully easy to use, plus the huge selection of shortcodes, color choices, fonts, and other design elements and options gives you the flexibility you need to meet the requirements that even those most demanding of clients may place on you. Priced at $59, The Core is a bargain, and based on what it offers it is a sound investment as well. Its live demos are easy to access, and you’re invited to test one or more of them free in the ThemeFuse test lab. Their WordPress open source framework is by the way, free for anyone to use. With its 200+ ready to use pre-made, fully customizable websites (with more to come), it’s difficult to image any website style or topic that Be Theme couldn’t handle with ease. Be Theme is the biggest multipurpose WordPress theme ever, thanks in part to its selection of pre-made websites, its power-packed core features (40 at last count), and its large, world-wide using community. Whether you’re designing a business website, a creative website, a blog, or a portfolio, there’s a pre-made layout that’s either a perfect fit, or can easily be customized to make it a perfect fit. A lot of new designers always fumble with basic designing questions. And one such popular question is ‘How much should I charge?’ There isn’t a fixed rate to be honest, designers charge as per their skills and experience. But one thing to keep in mind is, charge as per the value you provide instead of quoting what other designers do or how much hours you put in. And while we attempt to provide as many tips as we can, we also scour the web regularly to provide you with the best resources designers have needed. Patterns immediately add zing to your web work. Whether you need one for his backdrop of your web page, or you want to include this in a post, these icon and wood patterns would take your work several notches higher. Use them for a quirky element on your posters and invites or just enhance the look of an image by putting a wood pattern in the background. The rustic feel complements a lot of country-specific wedding invites and website backgrounds too. Including them in headers and footers too is a good way to put in something extra without a lot of efforts. Grunge elements instantly elevate the complete look of any design but if you want to do it from scratch, be prepared to put in a lot of time and effort. 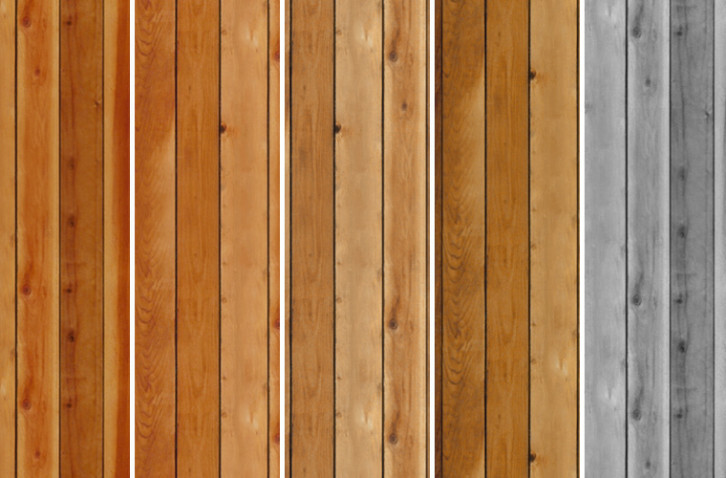 Or you can go down the smarter route and choose grunge textures that do the work beautifully well, and in a jiffy. From giving a realistic grungy feel to your work to providing depth and texture, this set of 10 grunge textures is a great resource to own. 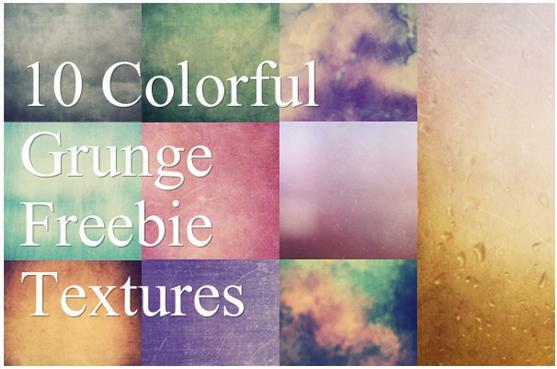 Use these varied colored textures for a diffused look or play around with soft light. Don’t like certain elements of the texture? Mask it to make it work the way you want it to. Most website designers leave the coding to professional developers; since they have neither the time, the inclination, nor the necessary skills to do so themselves. Even designers who are proficient in coding, often prefer to leave the work up to professionals who they know will get the job done right. If you’re still fairly new to the game, you may not have a clue as to which developer to choose that will indeed get the job done right. There are many good ones; some are better than others; and a select few are best of all in terms of workmanship, speed of delivery, customer service, and affordability. We know who the top coders, slicers, and developers are. We’ve checked them out carefully, hand-picked 9, and listed them here. Each one will be an excellent choice, but as you go down the list, you will no doubt find the one that best suits your purposes. If Sketch is your design tool of choice, but you would prefer to leave conversion to someone else, you won’t find a better partner than Sketch to HTML by Xfive.co. The Xfive team will not only make certain that the conversion looks like your sketch design, but they will also advise you of any changes or enhancements that might make your website even better. The finished product will be fast loading, and cross-browser compatible. Their code is W3C compliant, and depending on your needs or preferences, they will convert your design to HTML/CSS/JS pages, WordPress, Joomla!, WooCommerce, or one of the other content management systems. If you would like some modern animations to make your site’s UX more attractive, let the team know; they will be happy to comply. If your design files are in the .PSD, .INDD or .AI formats, they can help you with that too. Xfive is a full stack development agency. They are based in Australia, but their operations and development team are conveniently located in Europe. Xfive fully deserves a position at the top of our best coding services list. PSDgator is a small team that is capable of doing big things in theme design and development, PSD Conversion to HTML/CSS, jQuery, or various WordPress solutions. Send them your work in any of the common file formats, and they will get right on it. They will look over your project, and give you a free review and consultation before proceeding. If it’s simply PSD to HTML you want, they will turn your design into hand-coded, pixel-perfect, W3C compliant code. If you want mobile responsive design they will give you a solution that will ensure your end users will get the most from your site. The green gator also loves providing WordPress solutions, working on Ecommerce designs, and converting PSD to Email templates.